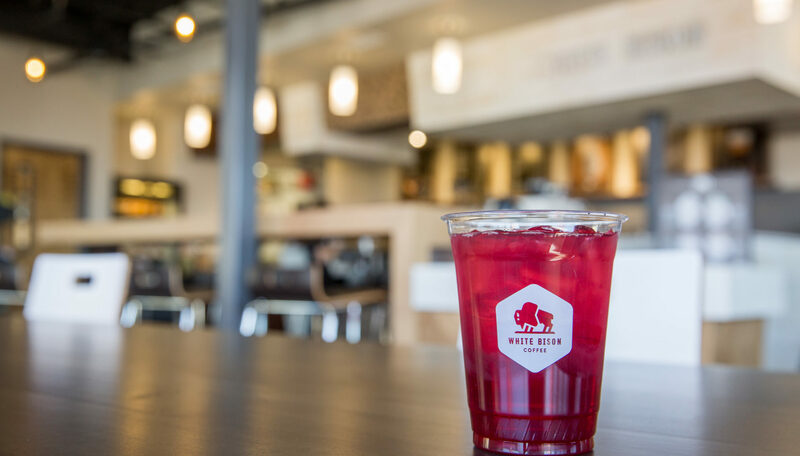 Use these case studies as inspiration for your own cafe dreams or simply to get a behind the scenes looks at some beautiful coffee spaces around the world. 1. What made you want to open a cafe? 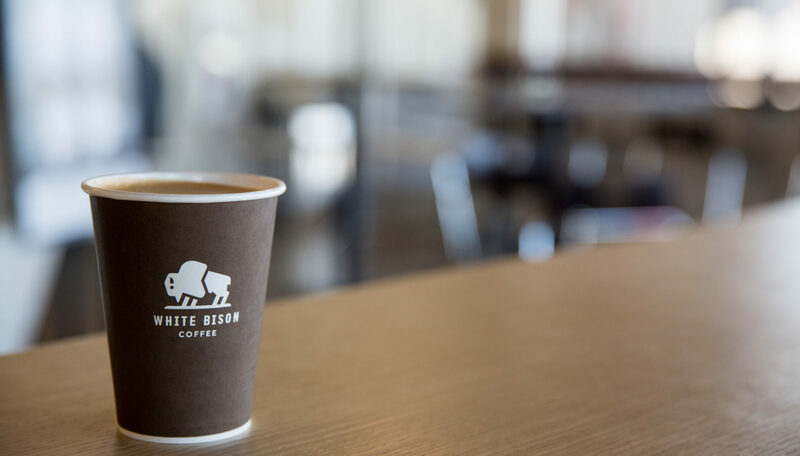 We wanted to serve up a one-of-a-kind, artisanal coffee experience in Middle Tennessee, starting with our brand’s hometown in Nashville, Tennessee. 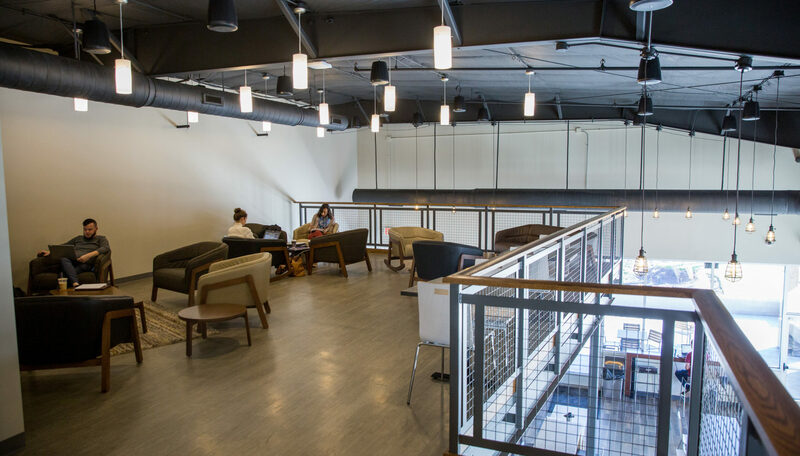 Our high-quality coffee, fresh, locally-crafted menu and clean, minimalist aesthetic creates an ambiance that can speak to just about anyone—whether you’re working, studying, sipping or savoring. 2. How would you describe the brand of your cafe? We take our name from the white bison, which has become a national treasure for its rarity, unique character and fortitude. That’s what we set out to be—an experience that stands apart by the care and thought we put into each cup of coffee, as well as by the strength of our curated roasts. 3. Describe the location/demographics of the area where you opened. Why did you choose this area? 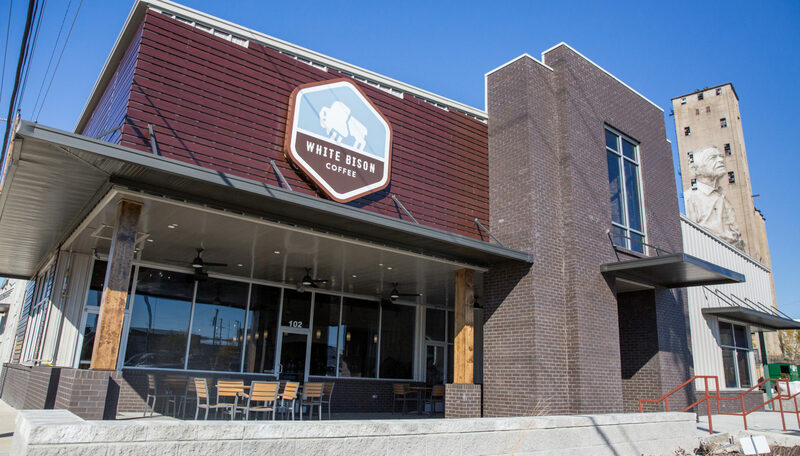 We chose the rapidly growing Nations neighborhood in Nashville, Tennessee to be our first standalone location. The rich diversity of people that both live and visit the area make the spot a great choice for our first shop. We also have plans to open locations across Middle Tennessee, so stay tuned for opening news. 4. What equipment are you using to make coffee? Why did you choose this equipment? 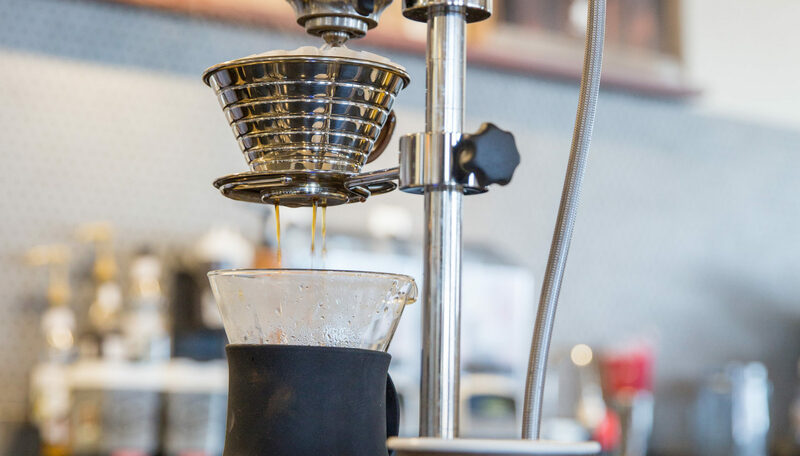 In the store, we use a variety of equipment including the Modbar for pour overs as well as Fetco brewers for coffee and iced tea, Brewista and Manitowac for our nitro and cold brew, and Mahlkonig grinders. We chose this state-of-the-art equipment to ensure we’re providing the best cup of coffee to our customers by utilizing machines that work well with our quality beans to amplify their flavors. 5. Describe your bar or customer flow. Break this down for us. How did the equipment influence the flow? or vice versa? We have set up our coffee bar to welcome customers into an artisan coffee experience from start-to-finish. Featuring open views from two angles into the kitchen and behind the bar, guests are able to experience their beverages being crafted first-hand. 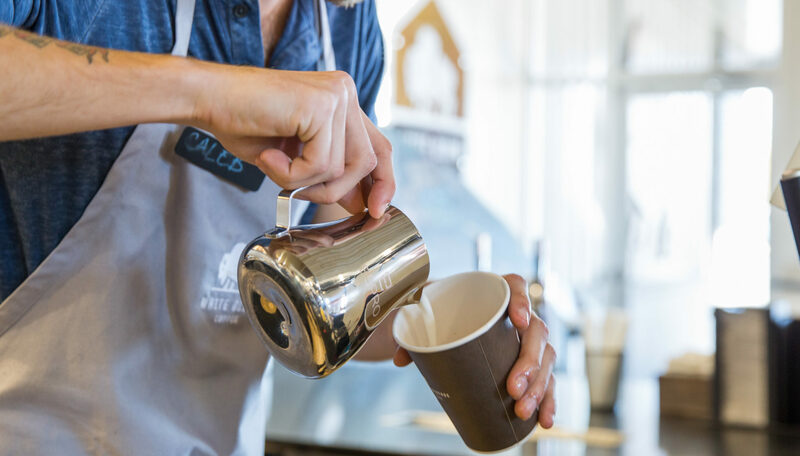 After purchasing coffee or food items at the register, customers can then walk down the bar to watch a pour over being brewed front and center using the Modbar, our Nitro cold brew being poured or any other number of drinks being prepared in their direct line of sight. At the end of the day, we want customers to be able to enjoy the craft as much as they do the coffee. 6. 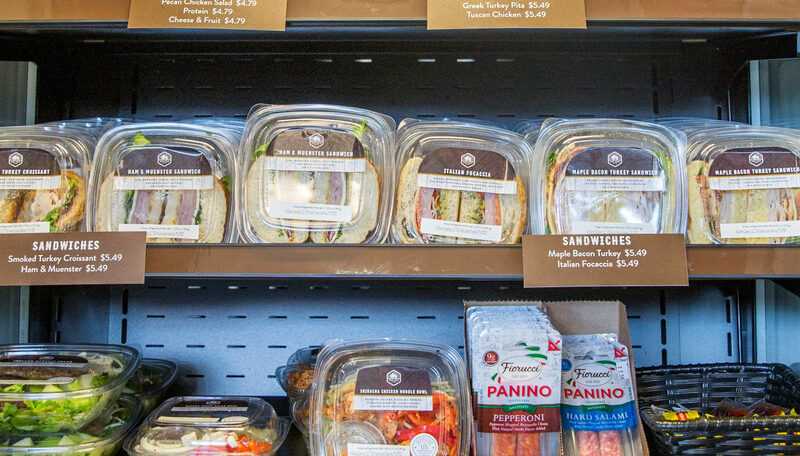 What’s one thing that makes your cafe special? 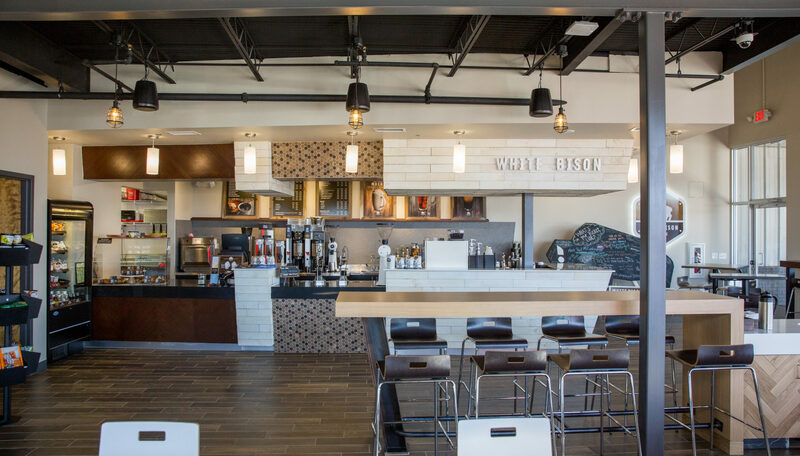 From our innovative brewing techniques and responsibly-sourced beans to our baristas’ genuine passion, White Bison Coffee takes its coffee seriously but with a side of good vibes. Come here, and you’ll experience a calming aesthetic that we hope is good for the soul because we believe the best medicine starts in bean form. Sourcing our coffee beans from farmers who value quality, economic fairness, human rights and overall good practices, we choose to cultivate relationships with farmers whose passion for coffee and character matches our own. And we think it shows in each cup. Interested in connecting with the White Bison team to dig a little deeper?